Things don’t always work out. Letting go of employees is never easy. Most employers terminate employees only as a last resort. This is why we decided sharing this information is important in reducing any stress associated with employee termination. 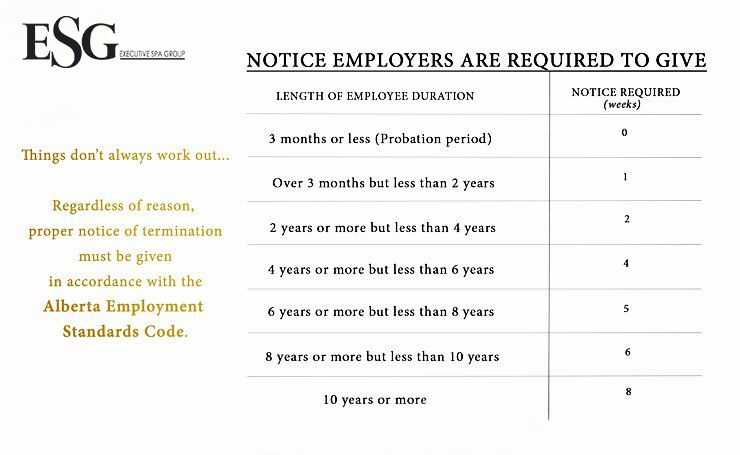 Alberta’s Employment Standards Code specifies the notice period employers must give when asking someone to leave a job. This termination notice period depends on how long the employee has worked for you. You must give termination notice in writing and the employee works and is paid regular pay until the end of the notice period. You can offer pay instead of a termination notice. In this case, the employee ends work immediately but is paid for the duration of the notice period. If you ask an employee to stop working immediately or partway through a notice period, you must pay the employee until the end of the notice period. Do you have other questions regarding Beauty Industry employment matters? Alberta’s beauty industry is full of employment opportunities. Maximize your job search by posting your resume online for employers to view. Posting your resume online is an effective way to look for work. This work search method allows for employers to find you and maximizes your exposure. However, maximizing your exposure should not mean exposing your information. Your job search is personal. A resume holds confidential information that should not be accessible publicly. 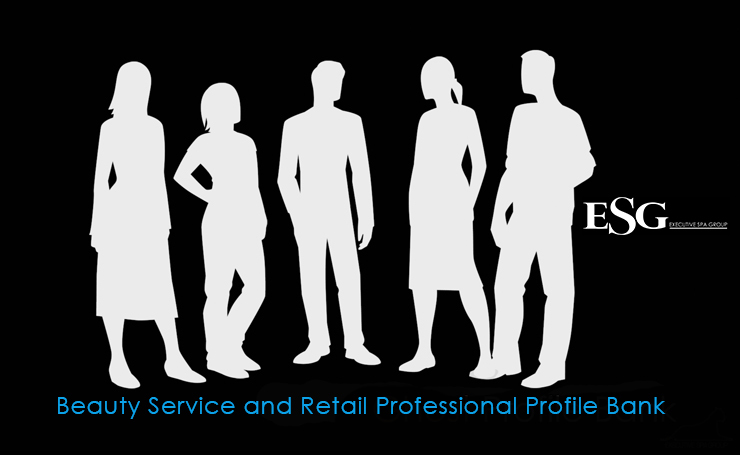 At Executive Spa Group, we respect the need for privacy and identity protection. 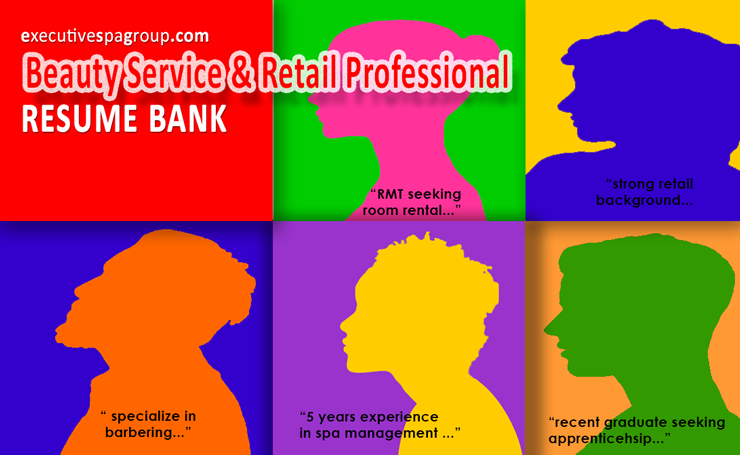 That’s why we have created the ESG Beauty Service and Retail Professional Resume Bank. Our resume bank allows you to upload your information for Alberta beauty industry employers to view. Simply fill out the profile form and post! We do not collect private information. Employers contact you directly via email. Additionally, only employers that have created an account with us can view your resume. This means your information is protected and can only be viewed by legitimate employers who are actively recruiting staff. ESG will never ask you to include your social insurance number, full name, home address, driver’s license number, credit card or bank account numbers, or other personal identifying information on your online resume. Cell phone numbers are generally unlisted, home phone numbers are not, therefore, provide your cell phone number instead of giving out your home phone number. Instead of listing your home address, consider disclosing your city and province only. In general, employers use email to get in touch with candidates, not snail mail. Creating an email address that doesn’t include your full name or other identifying information to be used only for your job search is the safest way to go. Do not include your references in a resume or cover letter. Save that information for when they’ve asked you in for an interview. Always meet with an employer in a public place.